Burn off the sweets with FOOT! Comedy Walking Tours and their flagship award-winning history tour: The Whole Shebang. This three-hour romp shows off three neighborhoods (Nob Hill, Chinatown, and North Beach) and how the City’s history created such diverse areas as well as her world-famous quirky personality. Learn about the Big 4, cable cars, the Silver Rush and visit a fortune cookie factory (and lots more) on this comedy history walking tour. Usually $45 per person, just $35 when mentioning code CL08. Group discounts available, too. One day only: Friday, December 26, from 1-3 PM. Please call 800.979.3370 or visit FOOTtours.com for for more information and tickets. Learn as you burn, and get around the old fashioned way–on FOOT! Currently in private beta, TechCrunch readers enter the code “tc_inv08? here can register an get in on the private beta. Twones Video Demo from Twones on Vimeo. Amsterdam, The Netherlands, December 10th, 2008. Dutch startup Twones is going into private beta today. The Amsterdam based company connects fans, bands and music services by tracking the music and sites they enjoy. Twones tracks more than twenty services from MySpace to Last.FM to Hypemachine. Twones is a new way to store, organize, ?nd & share music, both online and of?ine. Twones gathers your real-time music activity stream, lets your share it in real time with your buddies and store it like you own it. Twones received seed funding from a group of European Live Nation informals, the world’s largest concert and music promoter. Twones went in private beta today with only few limited invites in preparation for the official release in the months to come. Twones went in private beta today with only few limited invites in preparation for the official release in the months to come. Twones is a music service and a new way to store, organize, find & share music played all over the web (i.e. YouTube, Myspace, Last.fm, Hypemachine, Favtape and many more) or on your computer (i.e. iTunes) to one single point of access. Twones ties all music together and let’s you share your taste with others in its most direct way. We are working hard to make fotonauts the best sharing, collaboration and search platform for digital images. The team is committed to adding users to the beta at as rapid a pace as the development effort allows. Please be assured that, despite the large demand, we will get to your request as soon as we possibly can. That may be days, or weeks, but it will be as soon as possible. New service in Europe, drop off your man while you go shopping. I made about a new project I’ve been working on with a client. planning to have a more sustainable holiday this year. ROCA FIRME WILL BE DOING A LIVE WEB CAST VIA THE INTERNET ON MONDAY DEC. 22 AT 4PM.. TUNE IN AND CHAT JUST GO TO. www.hothousestudios.com and click on the LIVE TV link at 4pm monday..
PALO ALTO, Calif., Dec 22, 2008 (BUSINESS WIRE) — HP (HPQ, Trade ) today announced HP iPrint Photo, a free application available on the Apple App store that gives iPhone and iPod touch customers the ability to easily print photos anytime, anywhere. HP iPrint Photo is available at no charge from Apple’s App Store on iPhone and iPod touch or at www.itunes.com/appstore . The Victor Caballero Eco Sphere webcam is now live. You can also view the intro video. Jennifer bought this as my Christmas present for 2008. It is a very unique gift that needs very minimal care, but is also very educational. A close environment that only light and temperature can influence. The current issue of the Economist has a great article on music and the origins and how it has evolved and our desire to sing and dance to tunes. The Long Beach Police Department is warning residents, specifically senior residents, about a scam involving traffic collisions that results in the loss of cash and credit cards. In the five reported incidents, the suspect either “bumps” or pretends to bump his vehicle into an elderly driver’s vehicle, and then motions them to pull over. When the suspect and victim proceed to exchange information, the suspect offers to assist the victim by taking their wallet to locate their information for them. The suspect then, without the victim knowing, removes cash and/or credit cards. The suspect is described as a male African-American, 40-50 years-old, approximately 6 feet and 180-200 pounds, and drives a white 4-door sedan. In some instances, the suspect has been accompanied by one or two female African-Americans. All five reported incidents have occurred in the East Division, during daytime hours. There have also been similar reported incidents in several nearby cities. Residents are being provided this information to make them aware of potential risks during a “traffic collision,” and cautioned to only provide their driver’s license and insurance card information, and NEVER their entire wallet. If you become suspicious of the other driver or believe you are being scammed, you should call for police right away so that an officer can respond to the scene and assist. If in Long Beach you should call the Long Beach Police Communications Center at (562) 435-6711, which should be programmed in all resident’s cell phones. The investigations are ongoing and anyone who may any information related to these incidents should contact Forgery/Fraud Detective Jesse Macias at (562) 570-7330. Visit some of the 5th District websites! In 2009 the world’s first underwater hotel will open for business. Complete with transparent walls. Located off the coast of Fiji. The undersea seafloor resort as it is termed offers tours and you can signup to be notified when the resort opens. Built and operated by Poseidon Resorts the underwater hotel construction was started back in 2006 and was expected to be completed in 2008, now as 2009 the resort is opening. Reuters is reporting: Mexican police found nine decapitated bodies on Sunday in a city near the tourist resort of Acapulco. The bodies are believe to be those of soldiers involved in fighting drug gangs. Apparently drug gangs are involved in the voilence and more action is threatened byt the drug gangs if they don’t get their way. There’s a new restaurant opening soon in the Hasting’s Ranch area of Pasadena. Located on 437 N. Rosemead Blvd. , next door to the Trader Joe’s in East Pasadena. Here’s a picture of the sign that is up behind the mesh fence. Looks like some progress is being made. For many months if not several years the location had been empty after a Baker’s Square had moved out. Apparently many Baker’s Square restaurant locations closed. 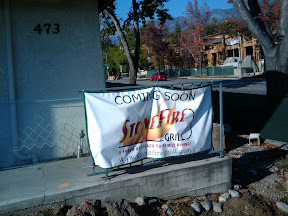 We look forward to the opening of the StoneFire Grill in East Pasadena, CA. How productive are you? Know what you use and for how long. Our engine recommends you the best apps by looking at your day-to-day usage. Make a widget for your site or forum and let everybody know what you love. What are your buddies or colleagues using? Games? Coding tools? Now you know. Stay tuned, when we have collected enough data we’ll provide you with your first graphs on your usage. Enjoy! Backstreet Boys singer Brian Littrell is asking fans to pray for his 6-year-old, Baylee Litrell. ~ Unlimited assistance to resolve any computer problem for one fixed price. ~ Assurance that help is always available whenever it’s needed; regardless of time or location. ~ Help is delivered where computer warrantees aren’t: Virus and spyware removal, computer tune-up, getting a printer and PC to connect, successfully downloading photos from a digital camera and getting a webcam to work are just some of the things ~ BluePhone Tech Expert can help with. ~ BluePhone Tech Experts are available 24/7 to provide real-time help via phone and online connection to work through any problem. Everybody who sees your ad has a computer. Everybody who has a computer experiences computer problems. This is a universal truth. Most common problems are not covered by warrantees. The remaining option is to either make a one-time service call to an expensive pay-per-call service provider; or you could become a BluePhone member and get unlimited assistance for one fixed price. Compare the BluePhone service value to what you would pay a squad of geeks to fix a single problem and the benefits are self-evident. Choosing BluePhone is the better, simpler, more cost-effective solution. Trax is the travel search engine that not only delivers broader searches from more sources, but search results that are completely unbiased by advertiser interests. Trax simultaneously searches and organizes real-time data from over 200 travel vendor web sites into one powerful, easy-to-use tool. 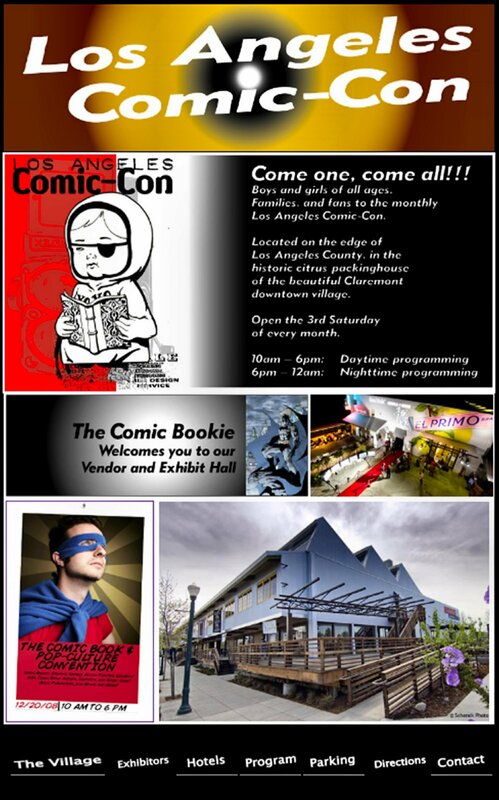 Event includes comic book publishers, private collectors, artists, and live music. Bendaroostm turn ordinary bottles into fashion models! Change a cereal box into a guitar that rocks! Or paper plates into magical masks! Get the Bendaroostm 250 piece set! They stick and stay and then lift away for non-stop play! No glue! No Stains! No mess! Bendaroos™ always hold their shape… plus they even unbend to use again and again! There’s so much you can do when you play with Bendaroos™!!! Make flexible snakes! A gorilla that shakes! Or an entire colony of Bendaroo bugs! Forget messy crayons, markers and pens. Just bend any color and watch the fun begin! When you’re done, peel off your drawing to bring it to life! Turn ordinary bottles into fashion models! Change a cereal box into a guitar that rocks! Or paper plates into magical masks! Order Bendaroos now and get 250 free with your order. Limited time offer. TWO STRONG EARTHQUAKES SHAKE BUILDINGS IN CHILE.